Being a blogger user it is precisely common to have more than one blog under the same account. At the same time, it is also common for a person to manage and take care of multiple sites. Blogger also offers a separate profile to its each publisher which mainly an about us page. It also displays a list of sites that you own. Sometimes, people do not want to show their underground websites on their profile. 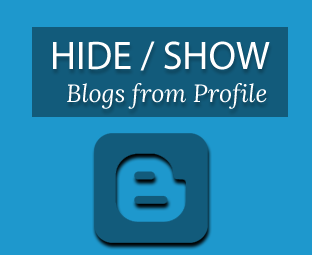 Therefore, today in this article, we will show you How to Hide or Show a Certain Blogger blog on Your Profile? First go to http://www.blogger.com/edit-profile.g and login into your Google account. After logging in, it would display a list of things that you can be edited from your profile. You can change your display name, Email address and of course you can remove or add any blog from your profile. 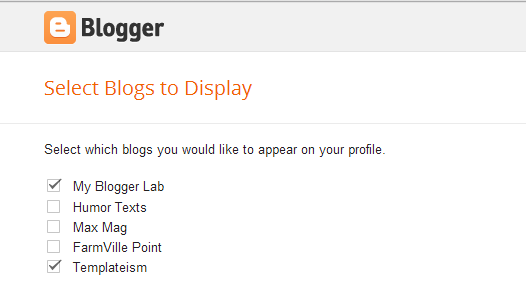 Now From the list of options click on “Select blogs to display” and proceed to the next step. There you will see a list of all your websites. If you want to remove a certain blog from your profile then select (Tick) the box next to the title of your blog. However, if you want to hide the site from your profile then, leave the box next to that blog empty. After making changes in the profile, scroll down to the bottom of the page and select “Save Settings”. Now the users will be unable to see those sites which are marked and would continue to see those which unmarked. By default, Blogger displays your entire sites on your profile so to hide them you have to apply privacy on your profile. If anything gets even more serious then there is an option to hiding your profile from public. nice tips dude, keep it up !